The Avg. Group Saves 9.9%! Not enough parking spaces available. 15-Apr-2019 Verified Review, stayed from Sat Apr 13 to Sun Apr 14 2019 at a $134.10 average nightly rate. Very clean and quiet at night ??. 20-Feb-2019 Verified Review, stayed from Fri Feb 15 to Sat Feb 16 2019 at a $109.89 average nightly rate. "Just fine for our needs"
We just spent five nights at La Quinta and are quite satisfied with our visit. The room was kept very clean. The bed was comfortable. The lobby is welcoming. The location was convenient. We made it to breakfast one morning and it was good, not elaborate but enough to get your morning started. We would definitely return. 29-Oct-2018 Verified Review, stayed from Thu Oct 25 to Tue Oct 30 2018 at a $89.10 average nightly rate. Less than a mile from MacArthur Airport, the La Quinta Inn & Suites Islip/MacArthur Airport is a convenient hotel designed for maximum comfort. Stay close to attractions like Splish Splash Water Park, golf courses, wineries, and shops at Tanger Outlet Center. Business travelers will appreciate the hotel's close proximity to offices for Computer Associates and the Rechler Business Park. 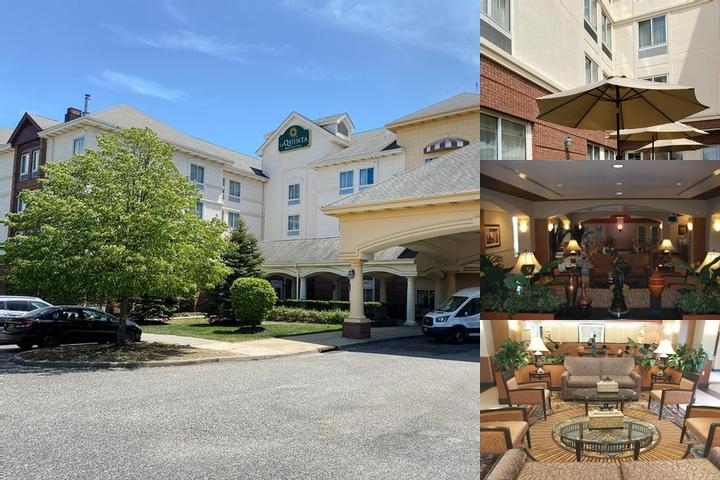 The La Quinta Inn & Suites Islip/MacArthur Airport features free high-speed Internet access in all rooms, a complimentary continental breakfast, free airport shuttle service, 24-hour business center, fitness center, spa, and meeting facilities. Each room also offers a microwave, refrigerator, coffee maker, hairdryer, and 32" flat screen TVs with HD programming. 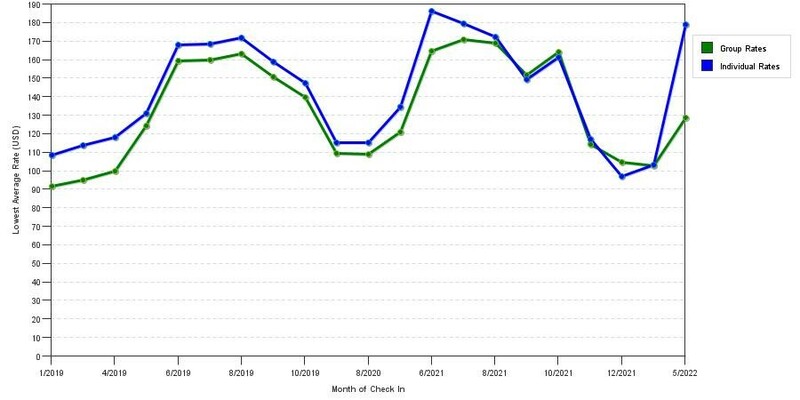 The chart above shows fluctuations of prices for both our group rates and the best individual traveler prices we could find at the time the group/meeting offer was placed. The best group/meeting rate displayed is 15.6% in the month of March 2019 and the highest average individual rate is $185 in the month of June 2019. This chart will show past seasonality and also project future months. If you are flexible with dates, you may want to consider staying at La Quinta Inn & Suites by Wyndham in a month when rates are lower. Below are the meeting, banquet, conference and event spaces at La Quinta Inn & Suites by Wyndham. Feel free to use the La Quinta Inn & Suites by Wyndham meeting space capacities chart below to help in your event planning. Hotel Planner specializes in Bohemia event planning for sleeping rooms and meeting space for corporate events, weddings, parties, conventions, negotiated rates and trade shows. 42 x 24 x 8 Ft.